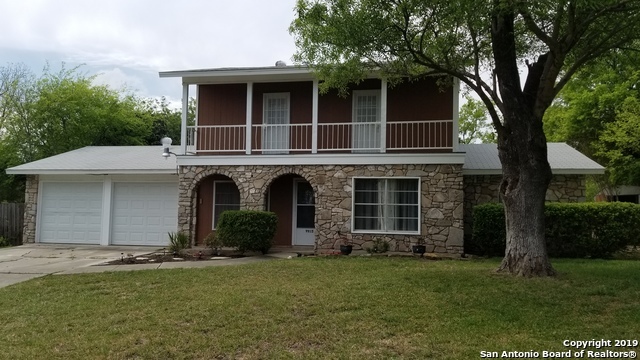 All HARMONY HILLS homes currently listed for sale in San Antonio as of 04/24/2019 are shown below. You can change the search criteria at any time by pressing the 'Change Search' button below. "Elevate your lifestyle! Unique home in a desirable convenient location! Designed for entertaining this home features a living area w/ a bar and walk out access to the POOL, spa & covered patio area in the private back yard. 3 bdrms, 2 full baths, 2 dining areas & a formal living room. Wood & saltillo tile grace the floors. Ample windows provide natural light throughout the grand open floor plan. Master bedroom has separate A/C wall unit & outside access. Roof 1 y/o, new A/C unit 2018, gas stove/"
"Plenty of space to spread out in this nicely updated home within walking distance to Harmony Hills Elementary School. Features include a downstairs master suite, new carpet throughout, new roof in 2016, plus newer windows and garage doors. TONS of storage space in the partially finished/floored walk-in attic, plus a bonus room off of the third bedroom that is perfect for a playroom, secondary office, nursery, or more storage! Partially converted garage currently used as workshop. New HVAC in 2"
"Excellent Location and Outstanding Condition**North Central Dream Home**Newer Decra Metal Roof**Towering Oak trees front and back**Highly rated North East ISD schools**Freshly Painted inside and out**Granite counters in Kitchen and Baths**Beautiful flooring installed downstairs and Gleaming original Hardwood flooring Upstairs(carpet at staircase only)**Light and Bright throughout**Large lot .24 acre at end of Cul de Sac**PRICE, CONDITION AND LOCATION***OPEN HOUSE SAT 20th APR 1 to 4PM***COME TAK"
"Charming Enchanted Forest 4 bedroom home! Large greenbelt lot surrounded by stately oak trees, park-like setting in central location! All new double pane windows and doors. Interior freshly painted, new carpet, new flooring in living room. Renovated and updated baths. New garage doors, garage has workshop space. Roof 3 years. 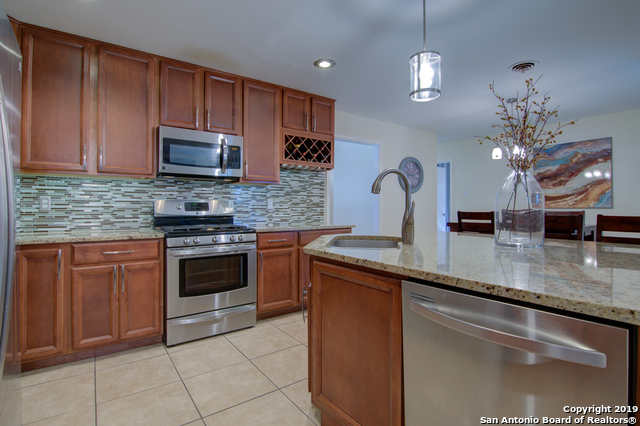 Convenient access to 410, 281, Wurzbach Pkwy, IH10, Airport, Medical Center. Ranked NEISD near Churchill HS." "Quaint home has been improved top to bottom and includes many upgrades and refinishes making it move in ready. Custom independent builder installed a new roof, new electrical wiring and outlets throughout, new flooring in living area, refinished wood floors, new insulation and sheetrock in kitchen, insulation and duct work in attic and interior, new coolant lines, computer board and sensor for HVAC, new covered patio, lighting fixtures, plumbing lines cleared, granite counters, tile backsplash,"
"Move In Ready Home! Recent renovations include NEW windows through out house for added energy efficiency. Fresh coat of Exterior & Interior paint. Home is perfect for entertaining with open floorplan concept with plenty of room for family/friends to gather. Plenty of mature trees & large yard you can enjoy your evenings relaxing in your backyard retreat. Well Established Neighborhood with close proximity to major highways, shopping & restaurants. Excellent schooling system! Schedule a sho"
"Charming ranch beautifully updated inside! 83K in upgrades! Stunning kit is the central design of the home featuring granite, replaced cabinets, pass thrus to both liv areas, wine storage & brkfst bar. All hard surface flring thru-out of laminate & ceramic tile making it allergy efficient. Current study could be formal dining if needed. Private mstr suite w/great built-in storage & shower w/mosaic tile details. Replaced windows, roof, water heater. Keep cool under the patio w/rustic beams & flag"
"A jewel in the Harmony Hills neighborhood. Fresh paint, roof is 2 yrs old, recent Ac maintenance, new ceiling fans w light fixtures, carpet upstairs is new. Both upstairs bedrooms have access to the balcony out front. Close to North Star Mall and easy access to 410/281"
"Fully updated home w/ modern feel minutes from dining, shopping, entertainment & more! This home enters to large flex family, dining & kitchen space. Fully remodeled kitchen with granite counter tops, white cabinets, tile back splash & new appliances! Master bedroom features sliding barn door into master bath w/ fully tiled walk in shower. Secondary bedrooms w/ fully remodeled bathroom w/ tiled tub & shower combo. Spacious lot w/ chain link dogrun! Fully privacy fenced backyard. 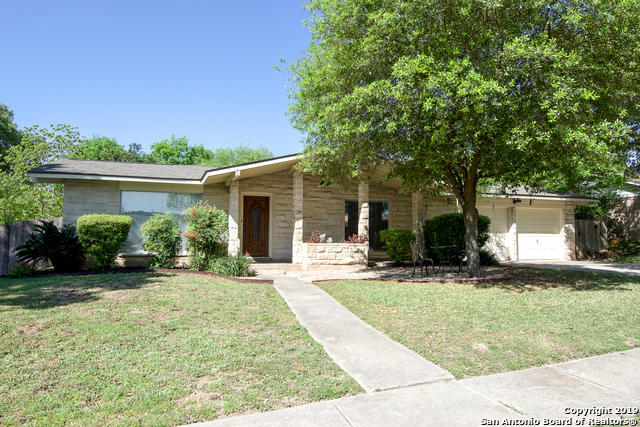 View this one to"
"Absolutely charming home located in NC San Antonio! 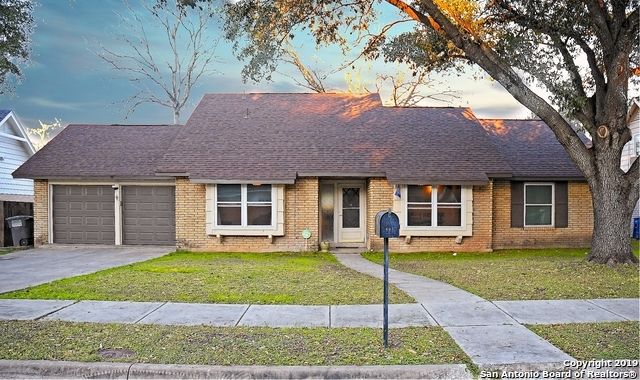 Beautifully updated, move in ready! All of the space of a house with the convenience of a townhome! This floorplan has it all - large living area w/ Fireplace! Separate dining, granite counters, travertine/stone backsplash. Master downstairs! Gorgeous wood stairs lead to Huge Bedrooms & Extra Study Room! Beautiful deck & quaint backyard area. 2 car garage, inside utility room. 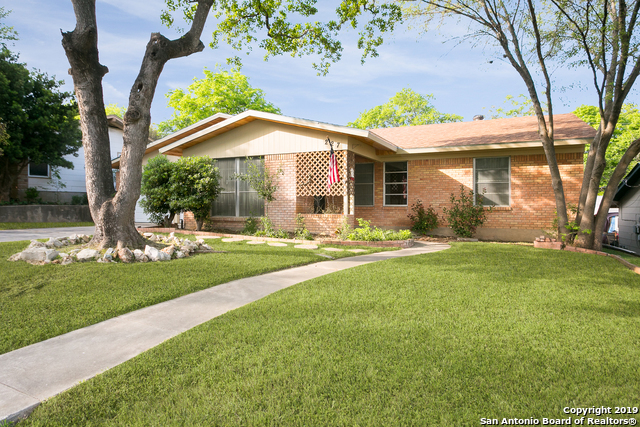 Convenient to 281, 410, Blanco/West, Great Schools! Water & lawn car"